The Toronto housing bubble keeps on inflating! Average home prices in the GTA rose by 11% in November 2013 as compared to a year earlier. Median price rose by 10.5%. The average price of condo apartment was up by 10% in November 2013 compared to a year earlier. 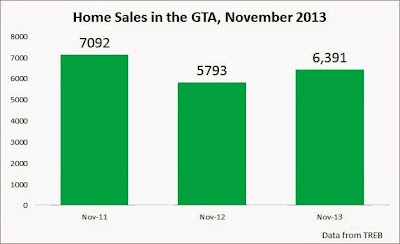 Existing sales were up 10% compared to a year ago but down 10% compared to November 2011. Detached home prices were up by 15% compared to a year ago. Though prices were only up 10% compared to November 2011. Looks like prices are playing catch-up. 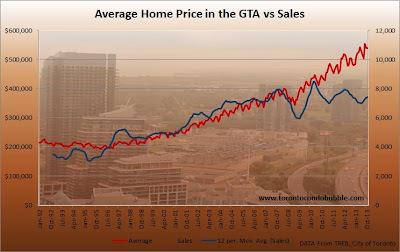 The graph below shows home sales and average home prices in the GTA (416+905) since 1992. Median price of detached home in the GTA (416+905) was up 11% in Nov 2013 compared to a year earlier. 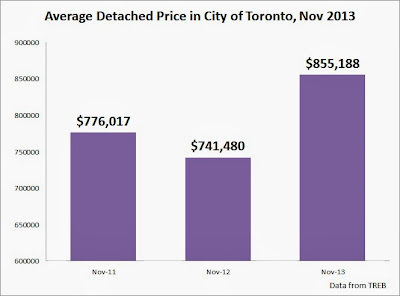 Median price of semi-detached home in the GTA was up 8.7%. Median price of townhouse home in the GTA was up 6.5%. Median price of condo apartment home in the GTA was up 3.9%. 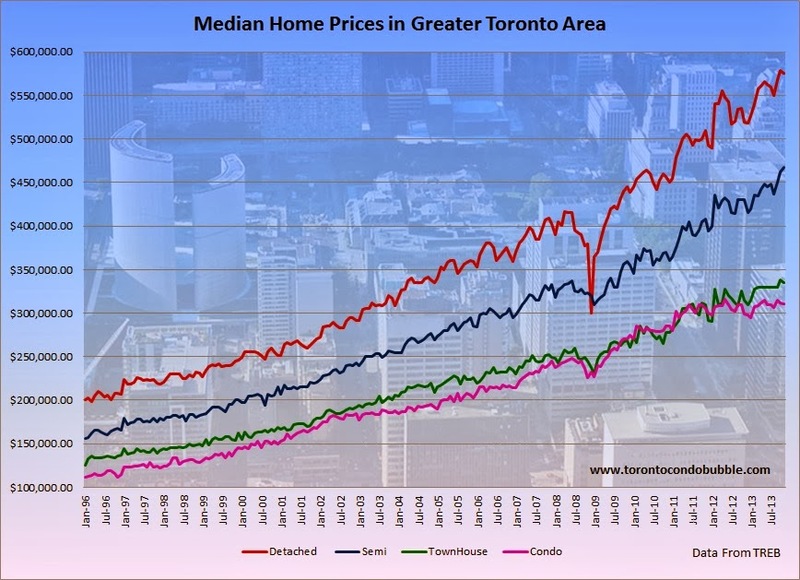 Below is a graph that shows median prices since 1996. 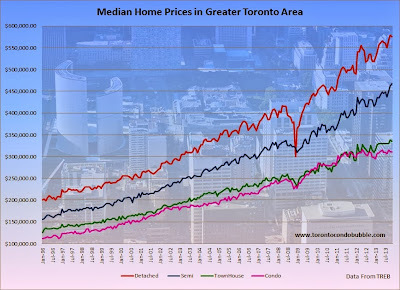 If Toronto (and Canada) home prices continue to rise at the current rate, I forecast that Flaherty will intervene. What do you think? Leave a comment below!